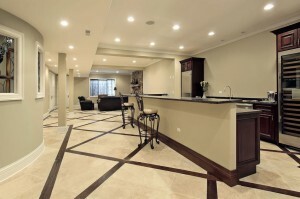 The use of natural stone for flooring is a logical choice, especially here in Texas. Stone flooring is cooler, adds elegance and looks particularly stunning when combined with wood textures. If you decide to go this route, there are things to consider when making the right choice. Areas with a lot of foot traffic (human and/or pet) should use slate or granite, due to their denser properties. You will find an amazing amount of choices in patterns and colors – the hard part will be to decide what direction you want to go! 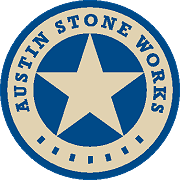 That’s where Austin Stone Works comes in. Our expertise can help guide you to make the right decision in material and color choices. If you plan on using stone flooring in an area that doesn’t see a large amount of traffic (hallways, secondary bathrooms, fireplace areas), your options also include marble, travertine and limestone. These are softer, less dense stone and are best used where there will be less wear and tear on the surface. Installation of stone flooring is very demanding and requires expertise. This is NOT a do-it-yourself project! You will need subflooring/substrate, correct measurements, adhesive backing in some situations as well as other considerations. Visit our showroom and see for yourself the variety of color and pattern options, stone types and textures. Talk to one of our experts and we’ll help you find the perfect choice for your home.